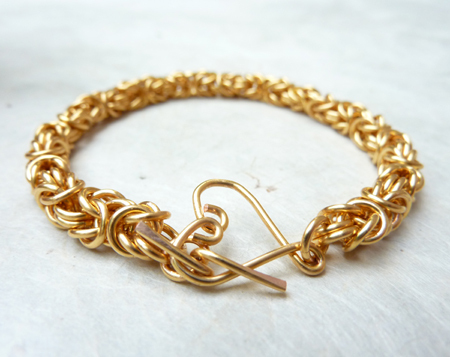 Linkouture jewelry features handcrafted elegant chaimaille jewelry for the modern woman. 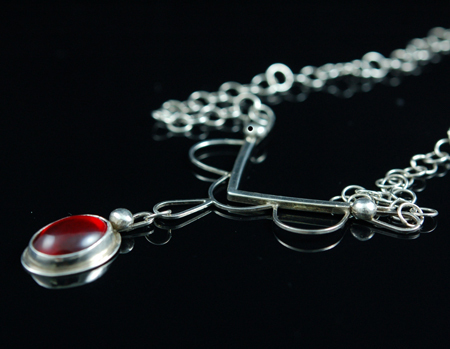 Of her handmade jewelry artist Bev Feldman says, "For as long as I can remember, I have always loved making jewelry... In the past few years I fell in love with making chainmaille. I adore the look and feel of it and the process of making it." Bev's love of the materials she chooses to work with shines through in every piece she creates. To see more of Linkouture's work check out her Etsy shop: https://www.etsy.com/shop/Linkouture. The artists of Prunella's Workshop create metal jewelry and clothing accessories inspired by the oral traditions of fairy tales and folk lore. This husband and wife team specializes in metal smithing handcrafted jewelry and accessories in silver, copper, and/or bronze, "We have a love of the past, and a fascination with the many similarities ancient jewelry has to the current fashion in jewelry. Some of our work strives to be as authentic as possible to the period whence it originated, while other pieces are mere inspirations from the past with a modern flair." Learn more about their work and their process on their website: http://www.prunellasworkshop.net/. Liz Stewart of Lush Beads is an incredible talent who can create stunning, contemporary jewelry out of the least likely suspects, her latest series: Lush Beads Industrial made from new and repurposed hardware. 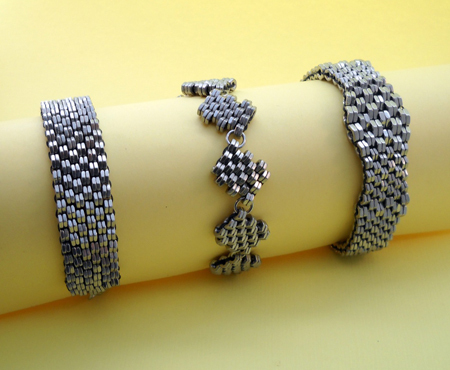 These bracelets, necklaces, and earrings are both inventive and beautiful and you are guaranteed to have never seen anything like them before, "The sleek and modern all-metallic look is great for men and women." and to see her full line of industrial jewelry visit: https://www.etsy.com/shop/LushBeads?section_id=7477116&ref=listing_112687573. See these local artists and more at the 6th annual Boston Handmade Marketplace in Union Square, Somerville on Saturday, July 13 from 3-7pm. Be there, be engulfed in real art and craft made by real artists and craftspeople.